In its 14th edition from March-April of 2018, the beautiful french magazine Plongez! dedicated seven pages to the description of the Octopus Foundation. 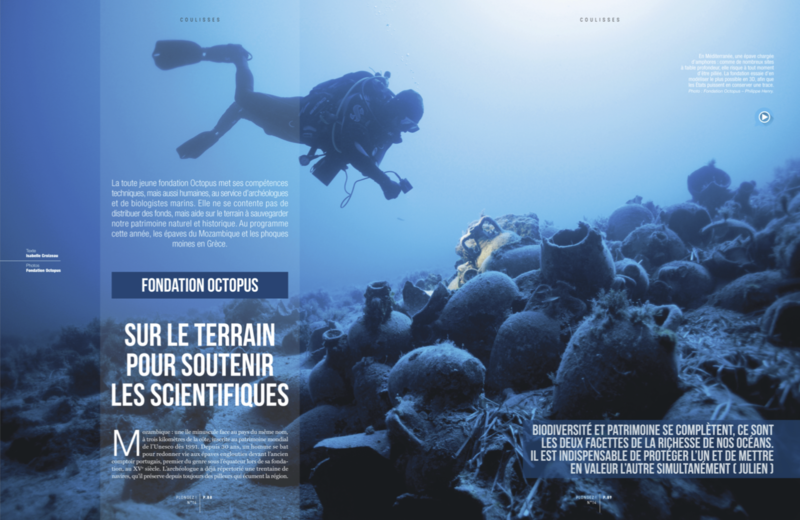 Julien Pfyffer and several members of the team are interviewed, and the text is surrounded by the stunning photographic work of Philippe Henry. Simply said, it’s the best article about the Foundation that is currently out there.